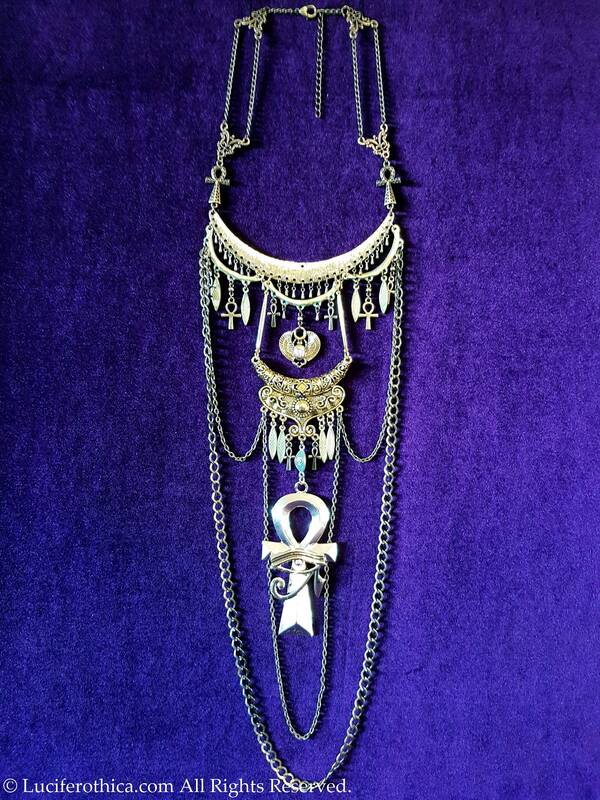 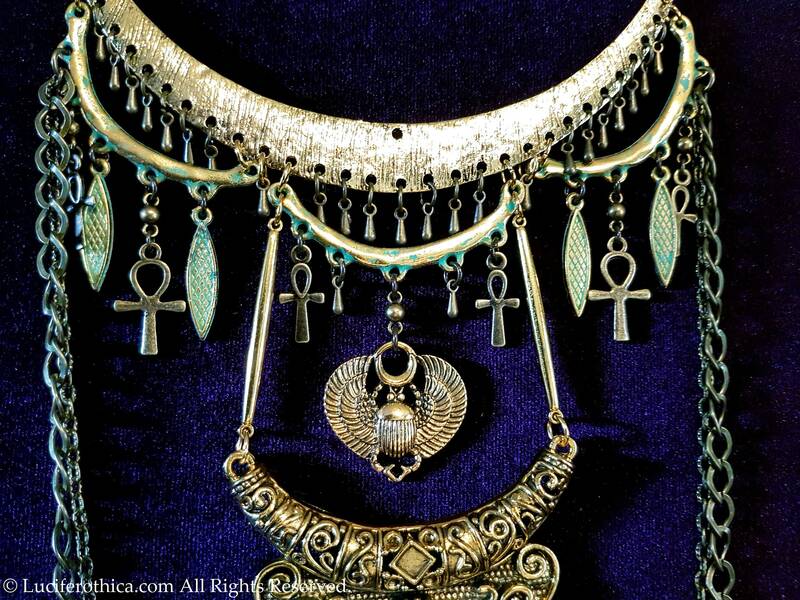 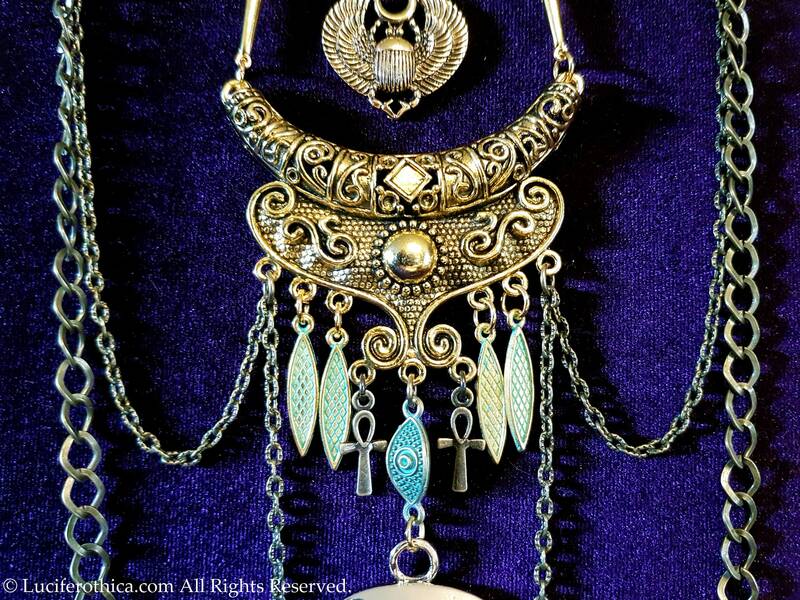 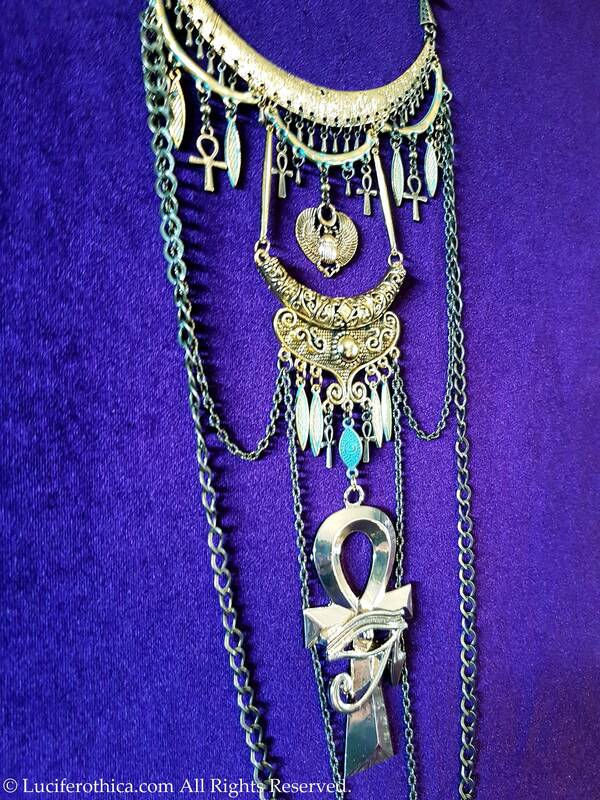 Cleopatra inspired handmade necklace, fit for a pharao - queen. 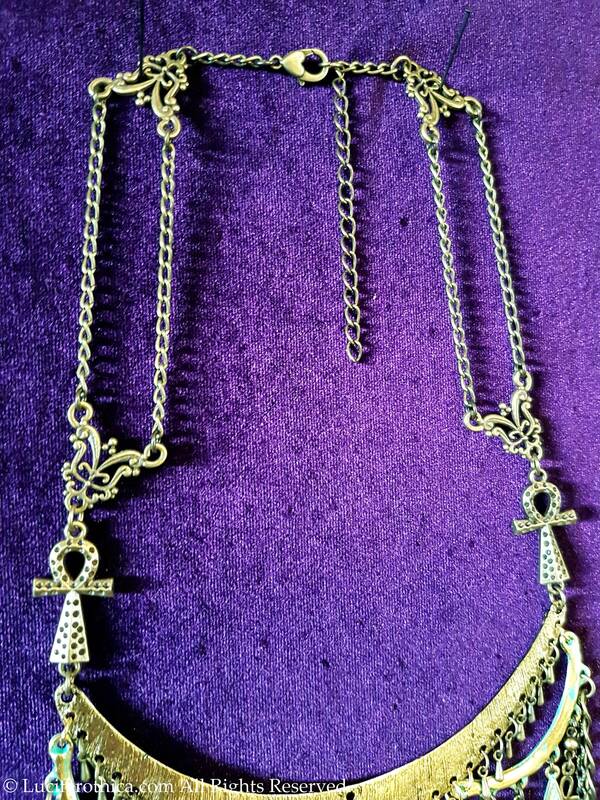 - 32cm long double chain + 7cm extension chain to adjust to your size. 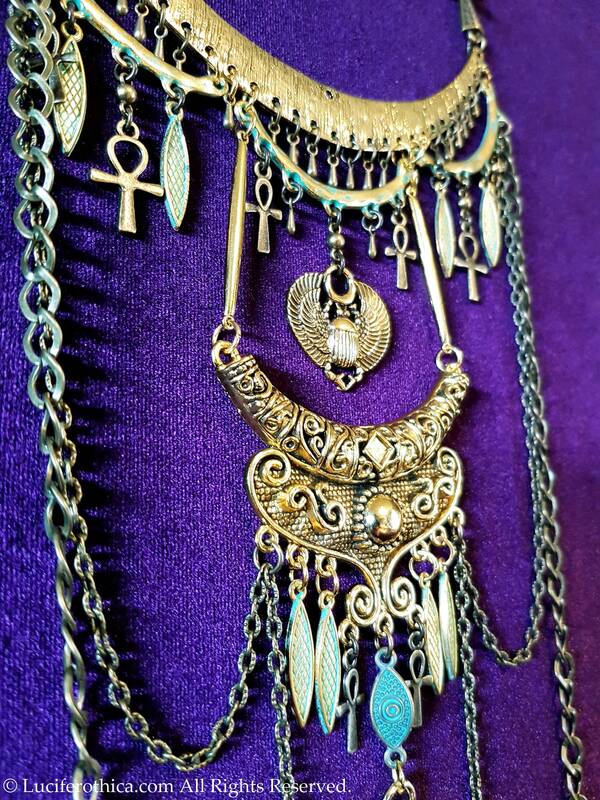 - Shiny & Antique gold colours. 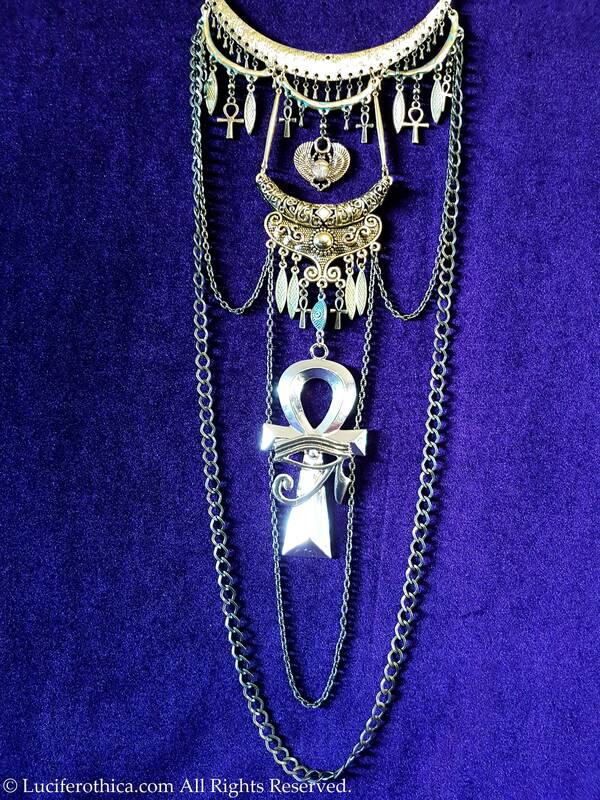 - Lots of Ankh symbols used in this piece. 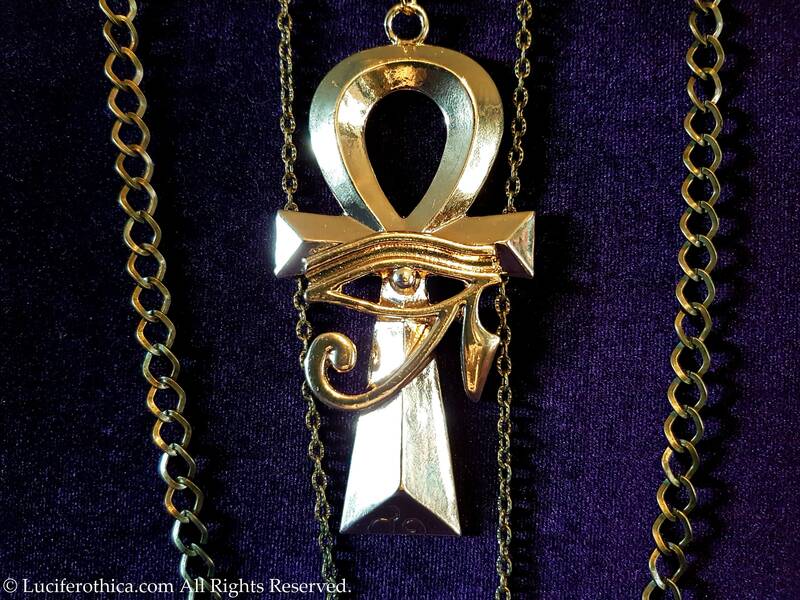 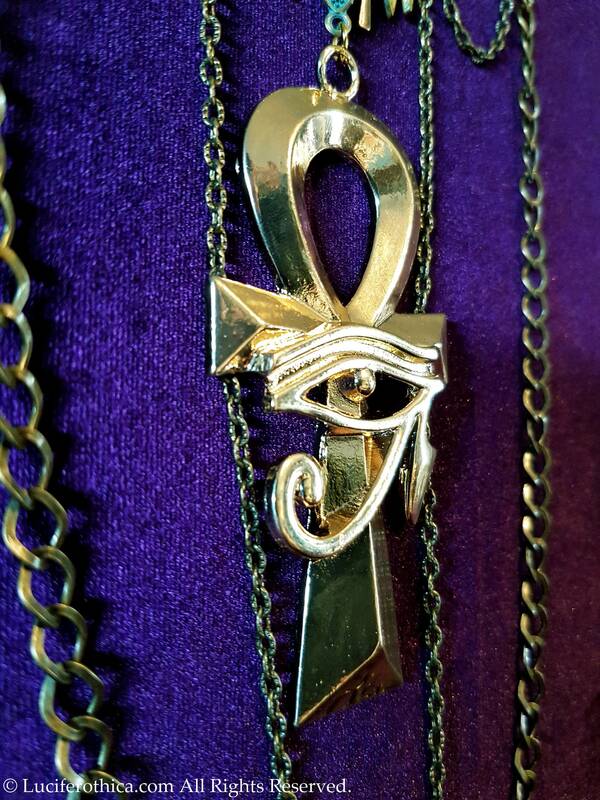 - Big Ankh symbol with Eye of Horus, 9cm in lenght. 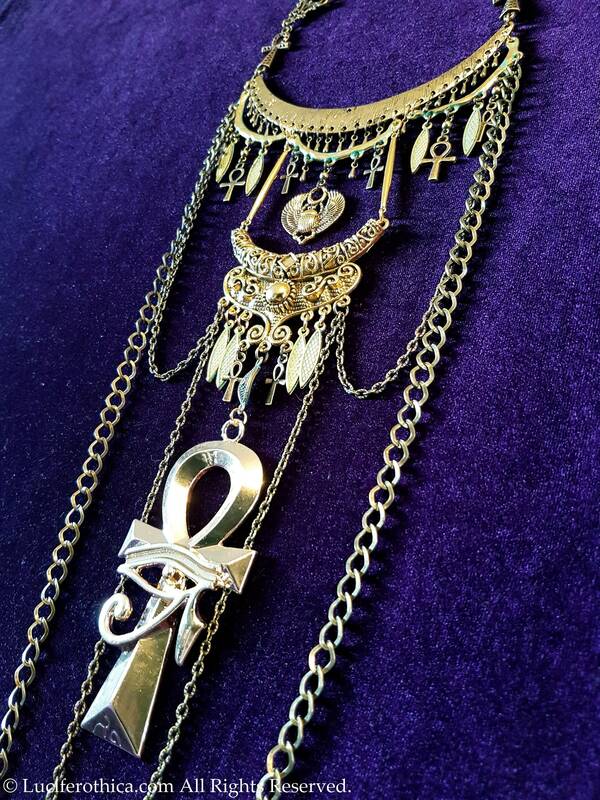 This piece is completly handmade and only 1 time available.